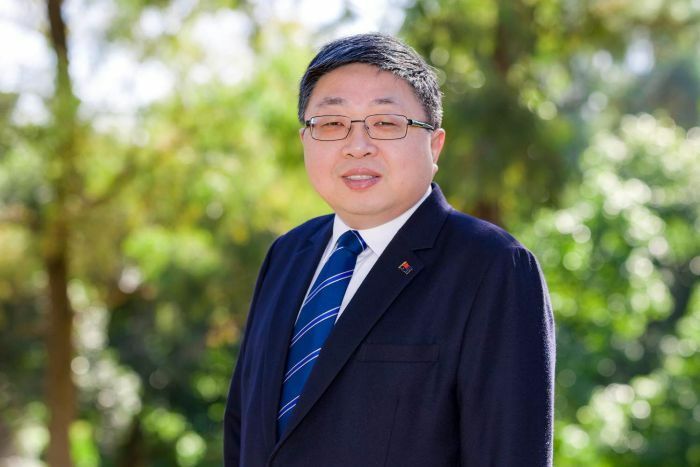 An Australian who has been outspoken about Chinese Communist Party influence says he was denied entry to China and immediately placed on an 11-hour return flight to Sydney. John Hugh, 51, said he travelled from Sydney to Shanghai on Tuesday with his 80-year-old mother, intending to stopover for several days before flying on to Canada, but was taken off the China Eastern flight by two border inspection guards upon arrival. His mother was allowed to enter Shanghai on a transit visa and is staying with relatives. Mr Hugh, who was born Hu Yuming in Shanghai but has lived in Australia since 1990, said he wasn't given a reason by the border inspection guards, but when asked why he was being denied entry, one allegedly replied: "You should know why." He said the guards told him they wanted to "have a chat" in an office but didn't have time because they needed to rush him through to the departure gate for the flight back. "They took me off the plane at 7:10, opened a special gate for me at immigration and put me on a plane that was leaving at 8:20", he said. Calls to two publicly listed phone numbers for the border-inspection office at Shanghai's Pudong airport went unanswered on Wednesday. A switch operator at the airport's General Station of Immigration Inspection said staff had already finished work for the day. Mr Hugh is a former Parramatta City councillor and in recent years became a spokesman for a group called the Embrace Australian Values Alliance, which successfully campaigned against the staging of Chairman Mao tribute concerts in Sydney and Melbourne. Last year, members of the group welcomed UTS academic Feng Chongyi home to Sydney airport after he was detained by state security agents during a research trip to southern China. Mr Hugh more recently helped organise a launch at NSW Parliament House of academic Clive Hamilton's controversial book about Chinese Communist Party influence in Australia, Silent Invasion. "I think it's maybe revenge", Mr Hugh said. "The Clive Hamilton book launch may have been the final straw." Mr Hugh last visited China in 2014 with a Parramatta City Council delegation, but said he faced questioning from Chinese consulate officials in Sydney before being granted a visa. He said he was now organising flights to Canada to reunite with his mother and continue their original holiday plan. All Chinese traitors like the people involved in this website should be banned from entering China.